because is it really glamping without a picnic? Our Picnic Package is the definition of "the perfect pair". 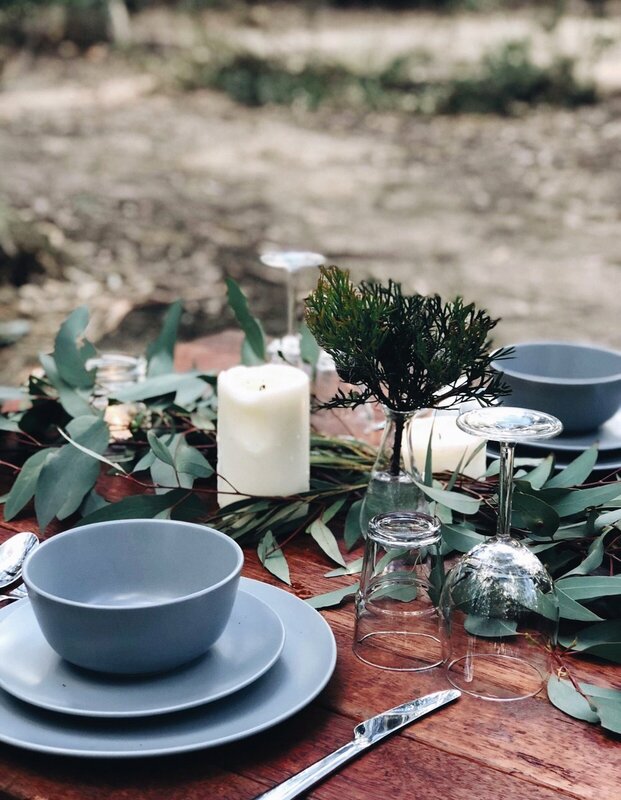 A picnic set up for two; kitchenware, greenery/florals, candles, wine glasses, water glasses, wooden picnic table, rugs, cushions, blankets and extra styling items. A picnic set up with a gourmet grazing platter for two offering a variety of fresh fruits, cheeses, chocolates and breads. This package also comes with divine kitchenware, fresh greenery/florals, candles, wine glasses, water glasses, wooden picnic table, rugs, cushions, blankets and extra styling items.